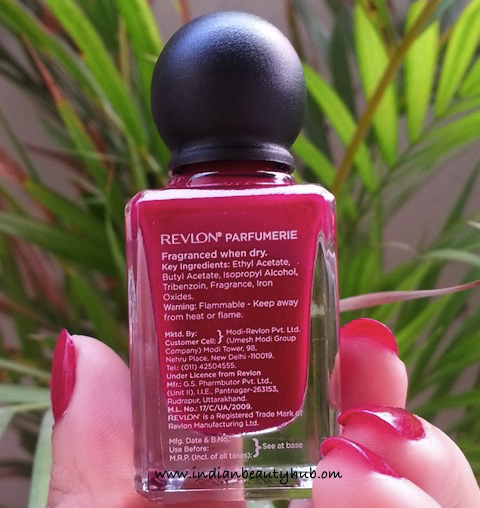 Hey everyone, today I’m reviewing the Revlon Parfumerie Scented Nail Enamel in shade Bordeaux. 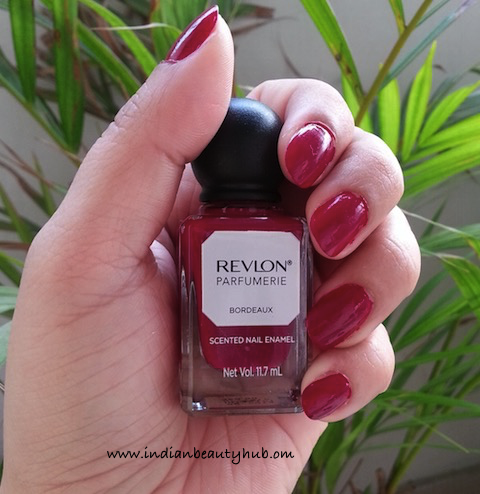 Revlon launched these scented nail enamels in three fragrance categories – Fruits & Florals, Sweets & Spices and Freshes Fragrance. Wide range of vibrant and shiny shades are available with pretty nail finishes from creams to glitters. 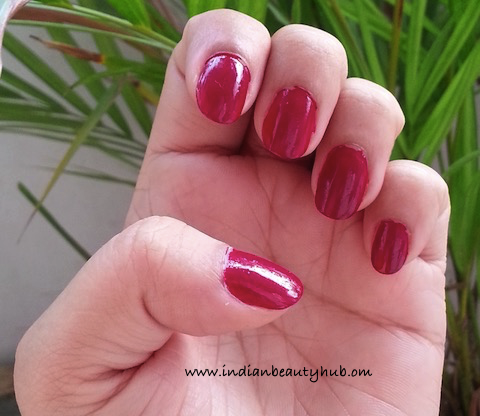 I bought this nail paint a few months back from Myntra.com. The nail paint comes in a cute glass bottle with a round screw cap. The brush applicator is connected with the cap and the shade name is labelled on the side of the bottle. The shade Bordeaux is a beautiful wine shade without any shimmer. 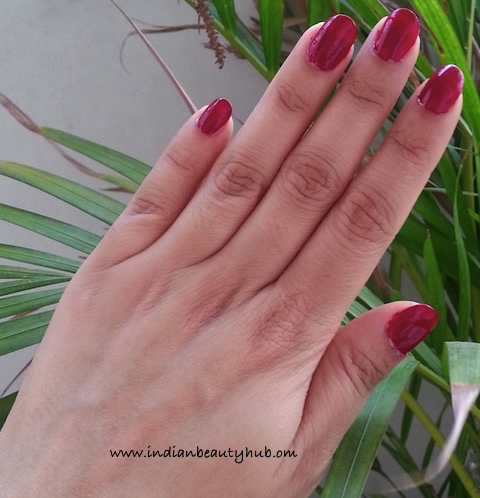 It has good pigmentation and goes completely opaque with just two coats. It dries pretty fast, sets into glossy finish and stays on my nails for 4-5 days without chipping or fading. Initially when applied it smells like alcohol, but after drying it smells like grapes juice/wine. 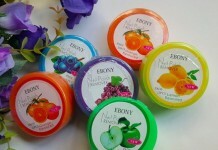 The fragrance is quite long lasting and stays on the nails for up to 4 days. 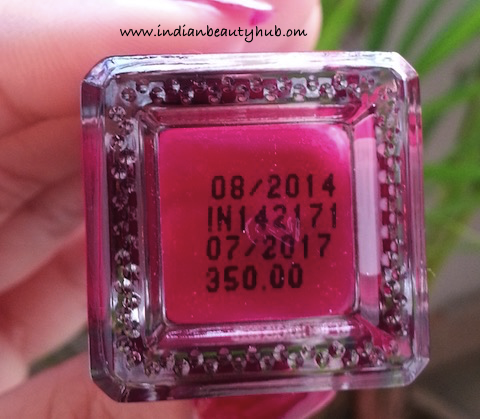 This shade will look good on all skin complexions and is an ideal shade for bridals makeup kit. 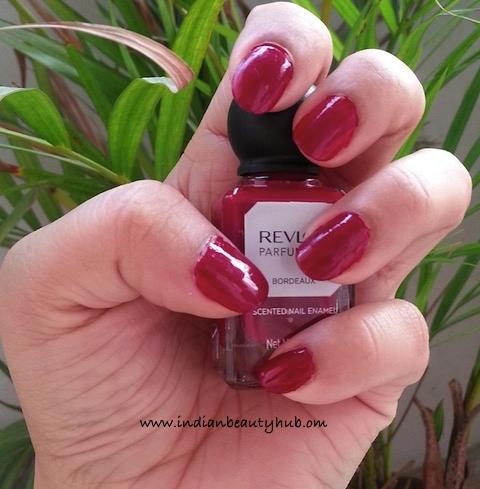 It is easily available at Revlon counters or you can buy it online from the leading online shopping websites. Some people might not like its fragrance. The applicator brush is very thin and you need 3-4 strokes to cover one nail. 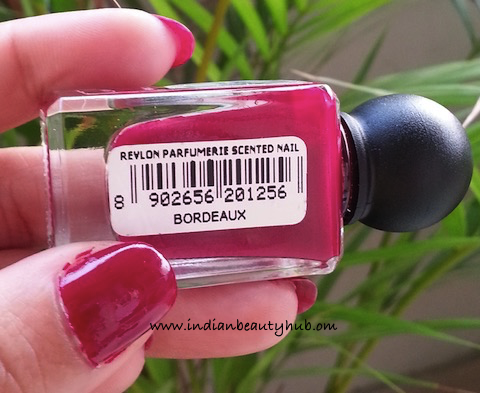 Revlon Parfumerie Scented Nail Enamel Bordeaux Price in India : Rs.350 for 11.7ml. 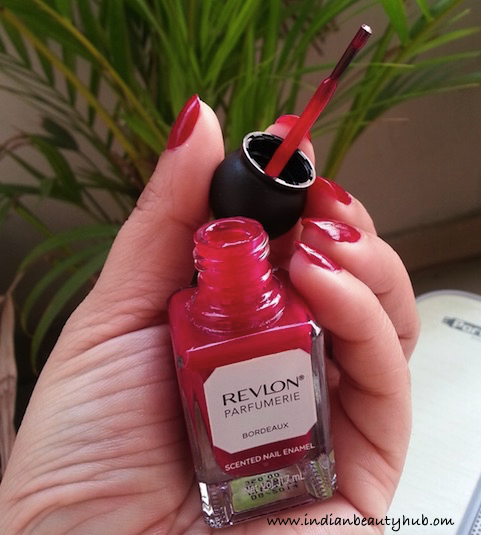 Claims : This new scented nail enamel from Revlon enables you to experience color in a whole new way. 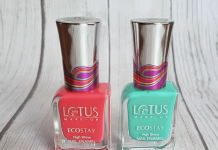 Vibrant, shiny shades that go on smoothly for flawless color and dry to light fragrance Variety of beautiful nail finishes from creams to glitters. Luxurious scents that range from Bordeaux to African tea rose to fresh linen Three fragrance categories: Fruits & Florals, Sweets & Spices and Freshes Fragrance and essential oils give a scent that is reminiscent of your daily perfume Layer complementary fragrances by painting an accent nail in a different shade/scent. Overall I really liked this shade. It is very pigmented, dries fast and instantly brightens up my hands. It is worth trying at-least one nail paint from this range. ..love the shades and opacity of these nail paints though! I bought two of these just for the cute packaging….